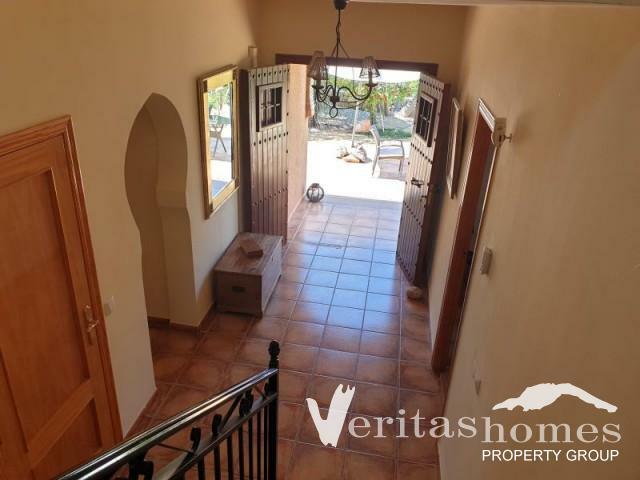 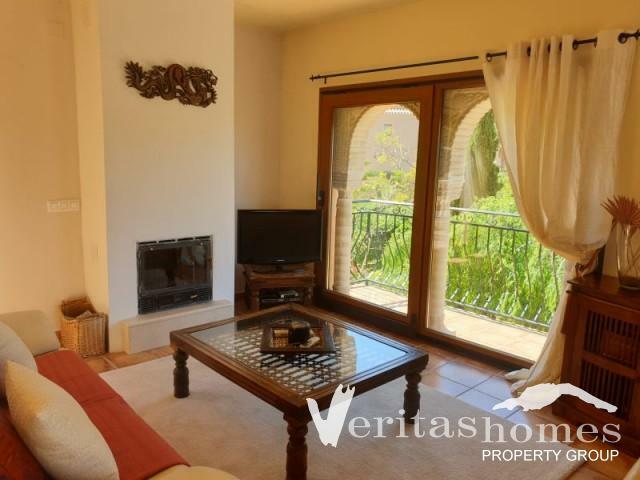 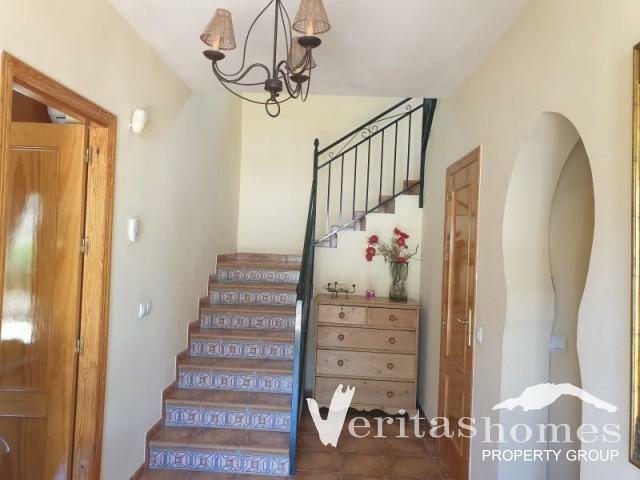 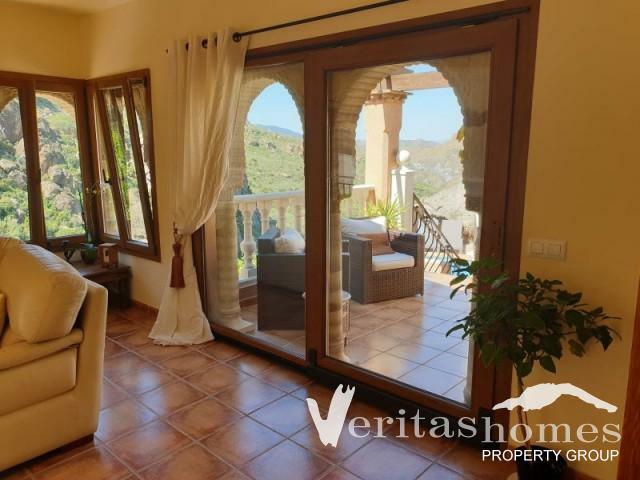 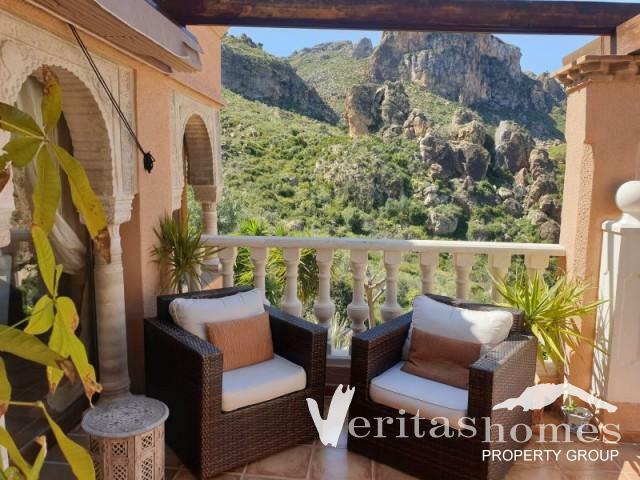 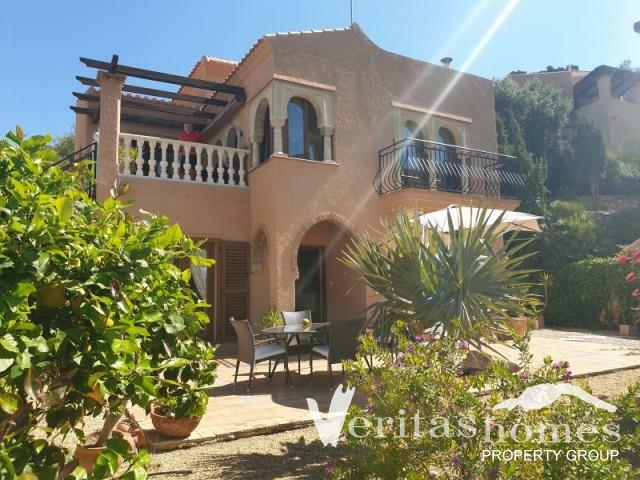 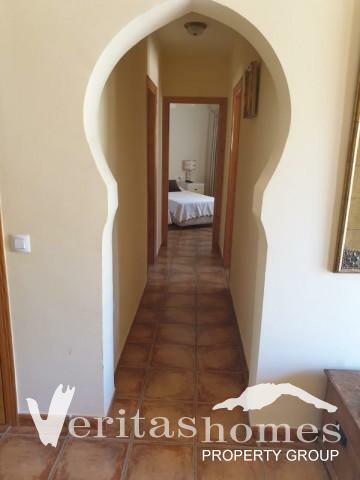 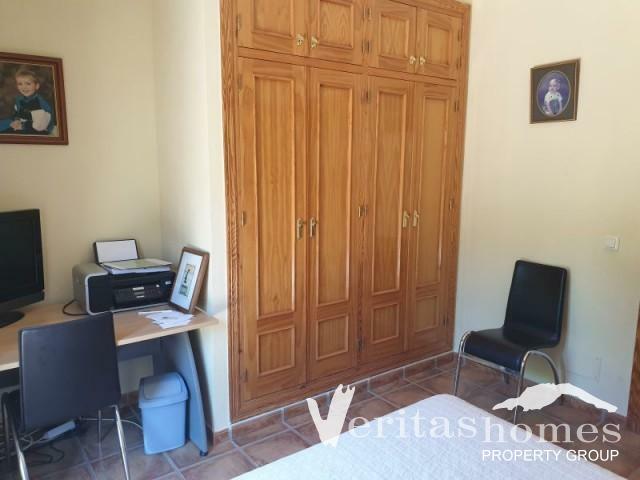 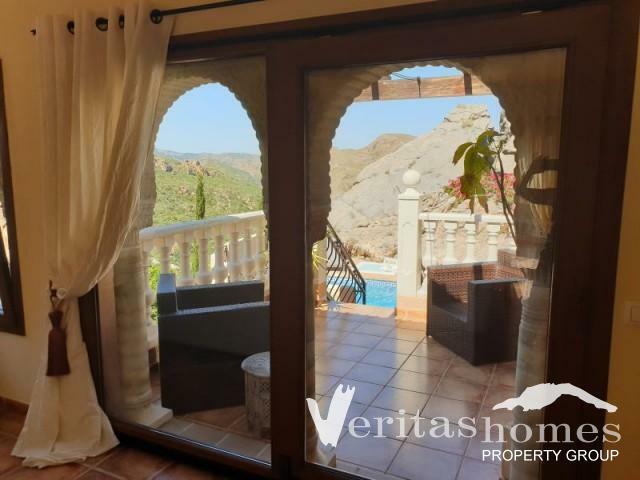 Stunning 3 bed / 2.1/2 bath freehold south facing Villa with private swimming pool in Sierra Cabrera a renowned Moorish enclave a short drive to the Spanish Village of Turre and the coastal towns of Mojacar, Garrucha and Vera Playa. 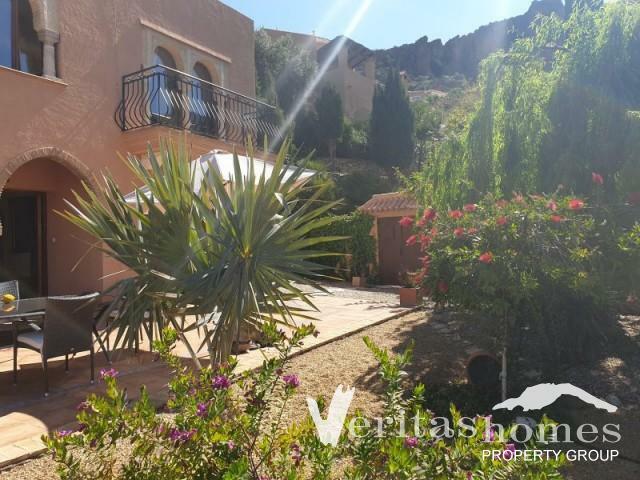 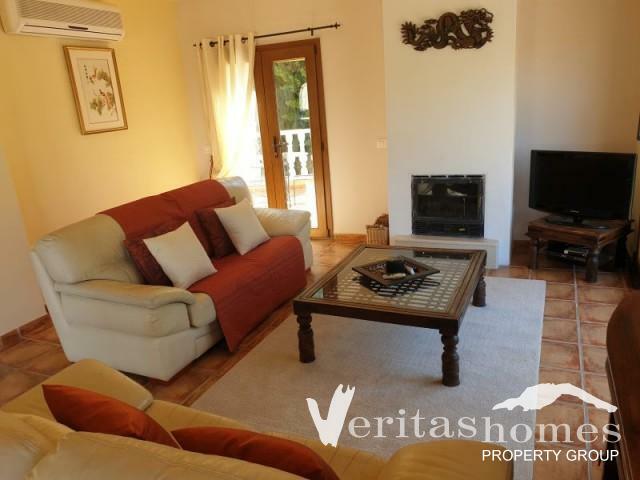 This freehold plot with 1,279 mts2 plot is located at the end of a well-kept cull-de-sac and immediately outside the Villa's main gate there are parking spaces for 2-3 cars. 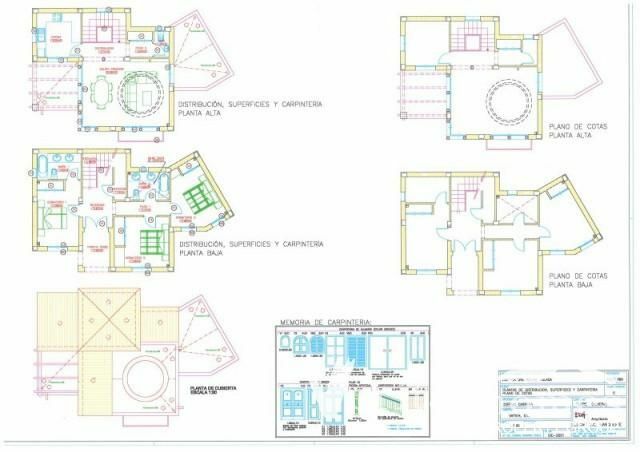 The property itself has a built area of 137.28 mts2 distributed on two levels. 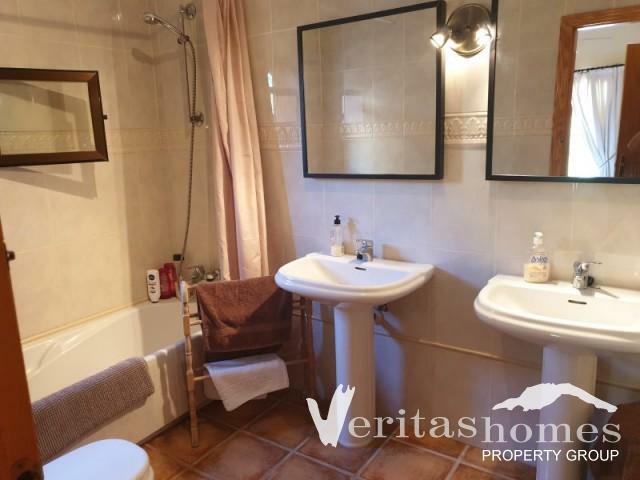 The master en suite and the 2 further double bedrooms and a family bathroom are located on the ground level of the property and the large living / dining room as well as a cloakroom and the kitchen is located at the upper level. 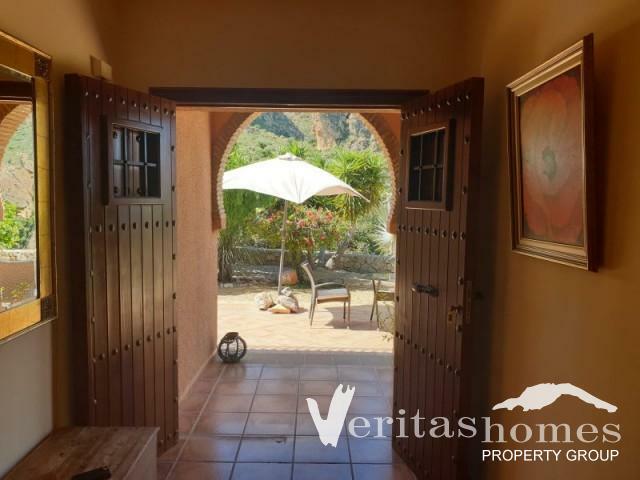 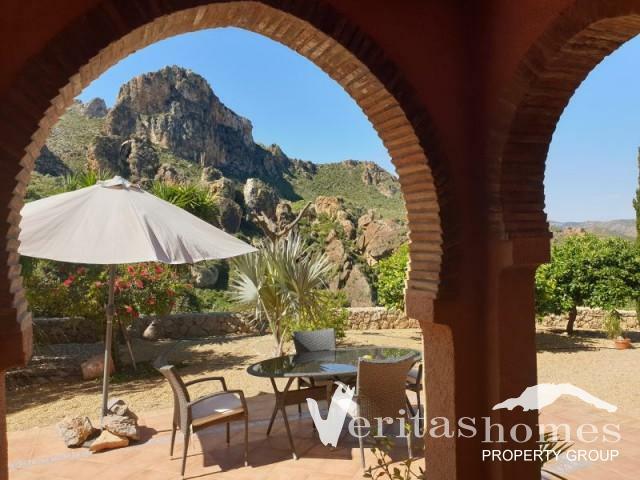 The property has traditional cortijo doors and other benefits include inverted air conditioning system, an exuberant and mature garden, BBQ area, modern and luxurious kitchen, log fire and a large dome on the lounge. 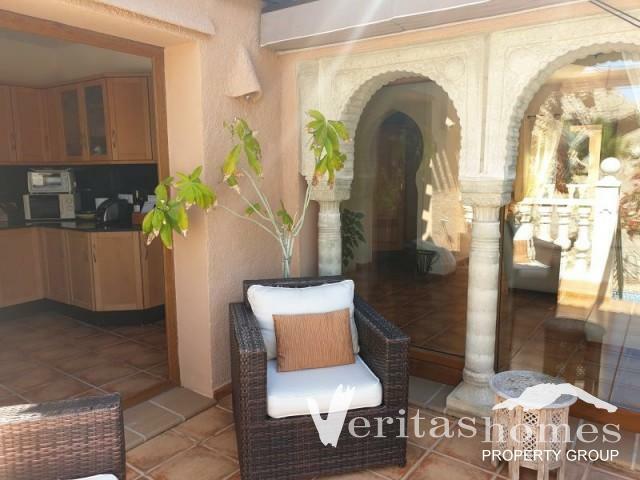 On both sides of the lounge there are doors out to terraces which is ideal for entertaining as overlooks the beautiful pool area and also has direct access to the feature pool and its decking. 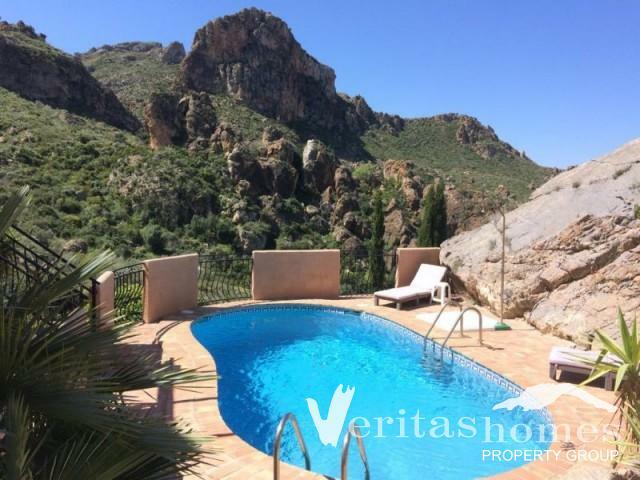 The unused area under the pool is used as an utility and storage area. 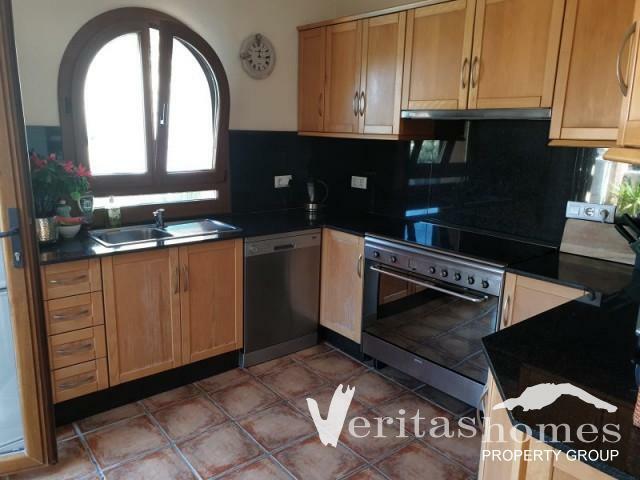 All in all a very attractive property for those looking to live or holidaying in a very peaceful setting yet within a short drive to the coast and good access to the motorway. 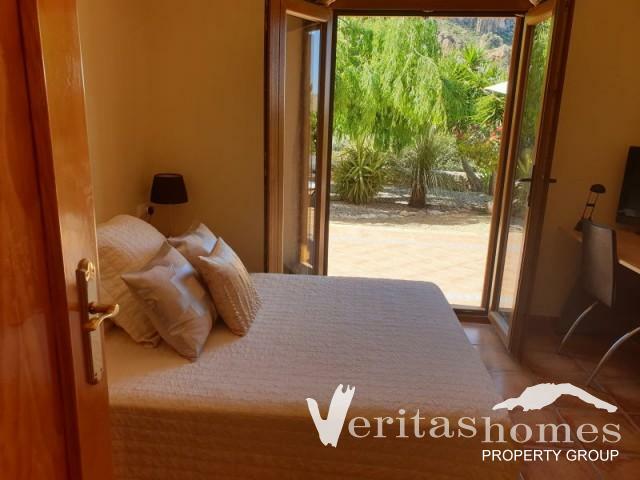 The airport of Almeria is approximately 45 minutes’ drive away, Murcia Airport is approximately an hour and a quarter and Alicante airport is less than 2 hours.